Black Powder Wargaming Rules by Warlord Games is a game for the militarily inclined gentlemen with straight backs, bristling beards and rheumy eyes that have seen a thing or two. If tales of battle and glory in days-gone-by stir nothing in your breast, if the roar of cannon does not quicken the pulse and set fire in the belly, then this is not the rule set for you. These rules are not a light hearted adventure but one to be tackled by the strong heart. This Black Powder Supplement charts Napoleon Bonaparte’s disastrous campaign in Russia during which the greatest army the world had ever seen was destroyed in just five months. A Clash Of Eagles is a glorious work of passion from the author Adrian McWalter. 200 pages of full-colour text, maps, and figures plus art from renowned artist Peter Dennis & Johnny Shumate. 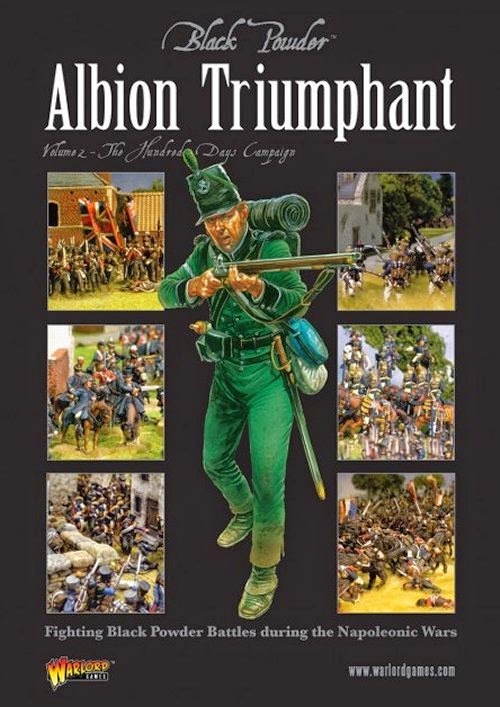 A must have for any collectors and gamers of the Napoleonic Black Powder period! Re-create epic moments of the 1812 campaign: the battles of Smolensk and Borodino, the numerous smaller affairs involving Napoleon’s allies and the long, protracted retreat from Russia culminating in the crossing of the Berezina, all of which left the Grand Armée reduced to a shadow of its former self. 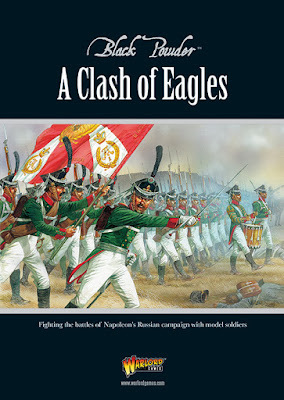 Within the pages you will discover how Napoleonic armies fought differently from preceding Black Powder armies; including background detail focusing on the campaign, the numerous nations that took part in the campaign, as well as their armies and statistics on over a hundred different troop types. You will find information on how to reflect Napoleonic battles using the Black Powder rules as well as a few new rules that are pretty standard amongst wargames communities across the globe. Running alongside this you will encounter numerous national characteristics for France, Russia, Austria and Prussia to name a few, that will give your gaming experience more of a Napoleonic feel. ‘Glory Hallelujah!’ – the American Civil War 1861 – 1865 supplement for Black Powder. In 1860 Abraham Lincoln was elected President of the fledgling United States of America. Years of seething hostility between the North and South boiled over as the Southern States saw Lincoln’s election as a direct threat to their rights, and the nation fell apart as a new Confederacy was formed in the South. The Confederacy, striving to assert its independence, opened fire on the Northern troops occupying Fort Sumter in Charleston Harbour on April 12th 1861. Determined to preserve the Union, Northern troops headed south and on to Richmond! Over the next four terrible long years American armies tramped across American fields and burnt American farms as Americans killed Americans in a war the likes of which the nation had never seen before. 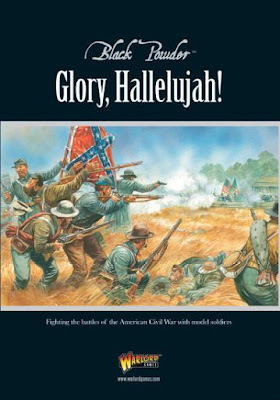 The epic battles fought during the American Civil War proved beyond all doubt that war can be ‘all hell’. They charged out of the shimmering desert, thousands of fanatical warriors dressed in white, brandishing fearsome weapons. These were the Mahdi’s men and a British soldier’s worst nightmare. The Mahdi had emerged from the wilderness to lead a rebellion against the Egyptian government in Sudan. 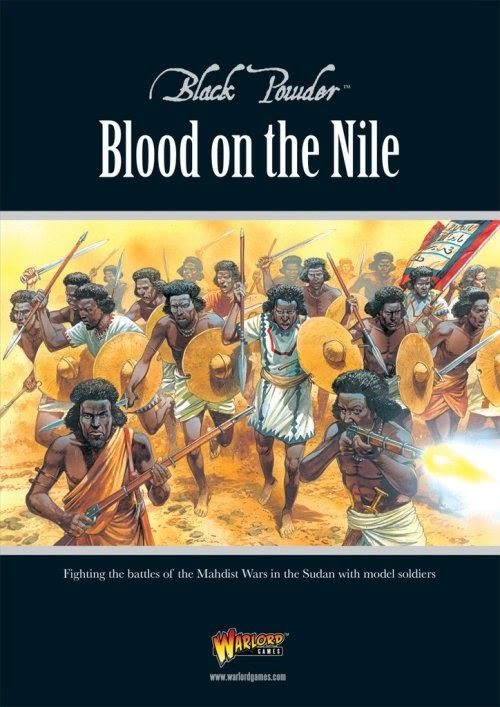 His armies overwhelmed the Egyptians and trapped Governor Gordon in Khartoum. The British launched a relief expedition, but it arrived too late. Such an insult to the Empire could not go unpunished, and the British returned to crush the Mahdists. Sudan then came under British Imperial control, but, like shifting sands, history could have turned out very differently. Using this Black Powder supplement, you can take charge of the British army fighting in the desert, or assume command of the Mahdi’s forces in their struggle against the world’s greatest military power. Along the way, learn about the battles and campaigns of the Mahdist Wars, and the soldiers who served in them. The free miniature with this supplement is based firmly on one of history’s great characters – Colonel Frederick Gustavus Burnaby. For those who don’t know much about this British officer try an internet search – he almost beggars belief! This is a superbly sculpted miniature by Steve Saleh that perfectly portrays this Victorian hero. Black Powder American War of Independence supplement, Rebellion! This glorious 144-page full-colour book, written by Steve Jones, comes with a free Continental officer figure sculpted by Alan Perry himself! 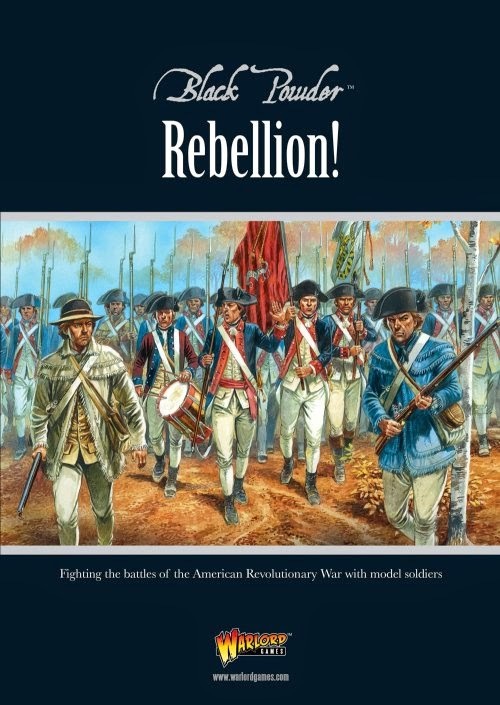 Who else would you ask to design a new figure for an American War of Independence book? You'll be able to buy the figure from Perry Miniatures. We'll show you the sculpt in our next newsletter as the green stuff is still drying as I type! In 1775 the simmering resentment of American colonists exploded into a bloody rebellion. Beginning in Boston, the conflict eventually stretched from Canada in the north to Florida in the south and lasted eight gruelling years. On one side stood the King's redcoats and settlers loyal to their sovereign, later joined by regiments of 'Hessian'mercenaries. Ranged against them was a citizen army under the inspirational leadership of George Washington, supported by militia and eventually French troops eager to embarrass their old foe. Both sides were forced to learn new tactics for fighting in the wild terrain of North America in a conflict that saw heroism and ineptitude in equal measure. You've seen the silver screen version of events in Zulu and Zulu Dawn now you can refight these classic engagements on the tabletop. 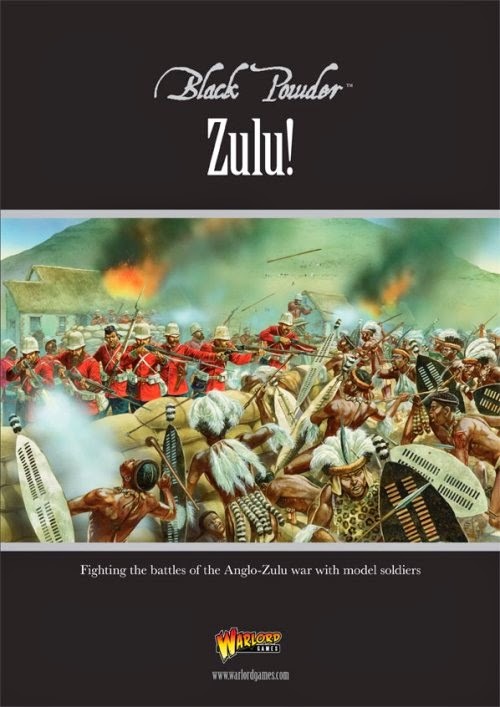 This lavish 92 page supplement provides historical background as well as character profiles and rules for recreating the key engagements of the war, including the Isandlwana, Ulundi and Rorkes Drift, as well as other less well known conflicts. Of course it is also packed with images of these battles recreated on the table-top, as well as photos of the region and battlefields as they appear now. On a damp, overcast Sunday in June 1815, twenty years of continuous warfare - the Napoleonic Wars - came to a violent and bloody conclusion on a rain-soaked field in Belgium. These wars were truly a world affair, with European powers fighting battles not only on the mainland of Europe but as far as India, Egypt, the Caribbean and America. The greatest generals of the age finally faced each other on the field of battle; The Duke of Wellington, rooted to a little-known ridge, faced, the Emperor of the French. Napoleon Bonaparte, master of the attack, opposed brigades of British, Germans, Dutch and Belgians; brigades of an infamous army that, despite horrific casualties, clung to the ridge for over nine hours to ensure that the arrival of Blücher's Prussian army would put the Duke's victory beyond doubt. The Battle of Waterloo became a true landmark in miltary history, one that will never fade, and nothing on such a grand scale would be seen again. 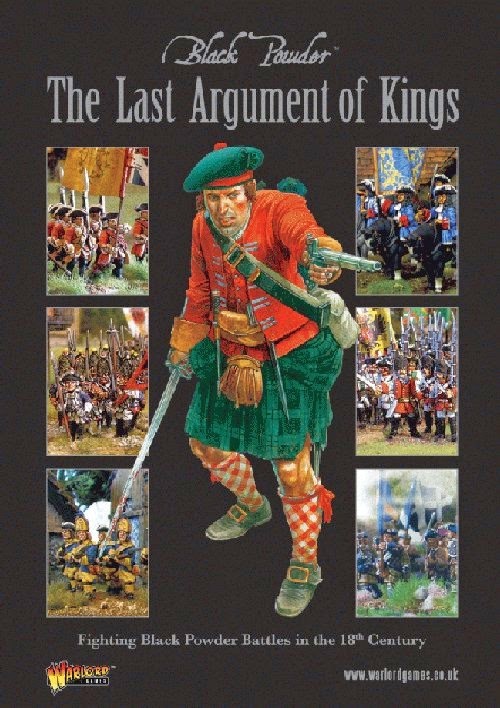 This supplement for Black Powder overviews the main battles, armies and personalities of the Hundred Days campaign, and includes army lists, scenarios and special rules to enable you to re-fight them using the Black Powder rules. 132 pages of Napoleonic army lists, background, troop stats and scenarios make this an absolute must for lovers of Black Powder, of Napoleonic gaming or simply of gloriously produced wargaming books! This is the first of two supplements for our Black Powder game that focuses on the Napoleonic battles involving British forces. 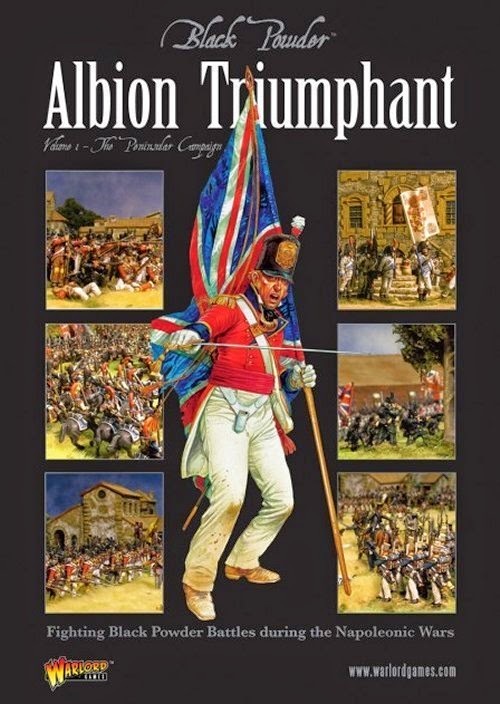 Written by long-time gamer and Napoleonic aficionado, Adrian McWalter, this book focuses on the Flanders and Peninsular campaigns 112 pages of Napoleonic army lists, background, troop stats and scenarios make this an absolute must for lovers of Black Powder, of Napoleonic gaming or simply of gloriously produced wargaming books! At the beginning of the 18th century, warfare entered a new era. The widespread use of the flintlock musket had transformed the way armies trained and fought. This period was a golden age for the crowned heads of Europe. They commanded professional troops, gloriously outfitted in splendid uniforms, and fought each other over land, wealth and the succession to their thrones. Some even led their armies on the field of battle. Yet by the end of the century, the real power of kings was gone or greatly eroded - parliaments would decide the foreign policy of nations, democracy had taken hold in the New World and the divine right of kings was everywhere being questioned. These were the last wars fought to protect the succession rights of royalty. These wars were the Last Argument of Kings. This is a full colour 112 page softback book. Black Powder, Quick Reference Sheet. Black Powder, FAQ - 26 August , 2010.
possible, the rationale for the rule amendments is provided. 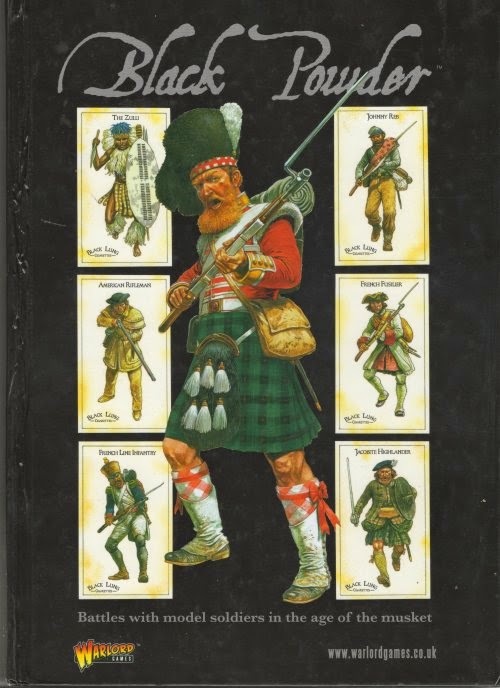 In conjunction with our Pony Wars article in the February issue of Wargames Illustrated; “A Road We Do Not Know”, we present Black Powder stats for using John Ford’s Rangers and Iron Jacket Comanches. Unofficial Black Powder, Quick Reference Sheet with additional information on page 2. Unofficial Black Powder, Quick Reference Sheet 2/3 Distances Version. Unofficial Black Powder, Quick Reference Sheet 1/2 Distances Version. Unofficial Black Powder, Army Roster 1. Unofficial Black Powder, Army Roster 2. Unofficial Black Powder, Army Roster 3. Unofficial Black Powder, Army Roster 4. Unofficial Black Powder, Quick Reference Sheets. Unofficial Black Powder, Quick Reference Sheets, British, Prussian and French. Detailed BP ACW sequence of play checklist. House rules and amendments for 'Black Powder' American Civil War. Quick Reference Sheet for 'Black Powder' ACW house rules and amendments. Suggested 'Black Powder' points list for AWI. Quick Reference Sheet for 'Black Powder' AWI using our version of the rules. Suggestions for using the action cards from Sam Mustafa's 'Maurice' in 'Black Powder'. House rules and amendments for 'Black Powder' Napoleonic Wars. Detailed Sequence of Play Summary Sheet. Quick Reference Sheet for 'Black Powder' Napoleonic house rules and amendments. Unofficial Black Powder, Half Distance Play Sheet. Unofficial Black Powder, Quick Rules Summary. Lots of good ideas here, well worth spending a bit of time reading all the Black Powder posts. Unofficial amendments to Black Powder For battles with model soldiers In the Age of Marlborough. Unofficial Franco Prussian War Scenario. Unofficial Prussian Roster for Black Powder. Unofficial French Roster for Black Powder. The master file for these cards is a PowerPoint document. If you prefer to obtain a professionally-printed deck of cards, Artscow. Unofficial Union Officer Personality Card Deck. Unofficial Confederate Officer Personality Card Deck. Armies of the 19th Century Booklets for Black Powder. Unofficial Black Powder, Army lists for the Russo-Ottoman War of 1877-1878 v.2. Unofficial Black Powder, The Uruguayan Army in the War of the Triple Alliance. 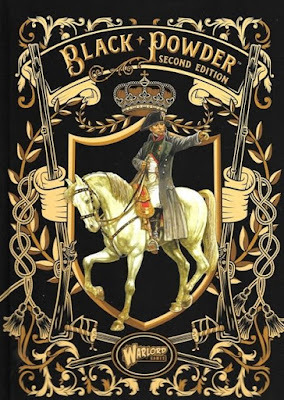 Black Powder House Rules Feb 2016 Update. Bill's Black Powder Amendments - Latest. Amendments for Black Powder Medievals. Black Powder House Rules for SYW. Black Powder Napoleonic House Rules. Unofficial Black Powder Unit Builder.